The Centre also said that more avenues are being opened in the Indian Navy for women. A lawyer has alleged discrimination" by depriving women of the right to serve in the general service. The Centre on Tuesday told the Delhi High Court that it was a policy decision to not induct women in the naval branches where sea-time was mandatory for promotion to the next rank. However, women were being recruited into education, logistics and law branches of the Navy since 1992, the Air Traffic Control (ATC) cadre from 1993 and several others, the government told a bench of Chief Justice Rajendra Menon and Justice V K Rao. 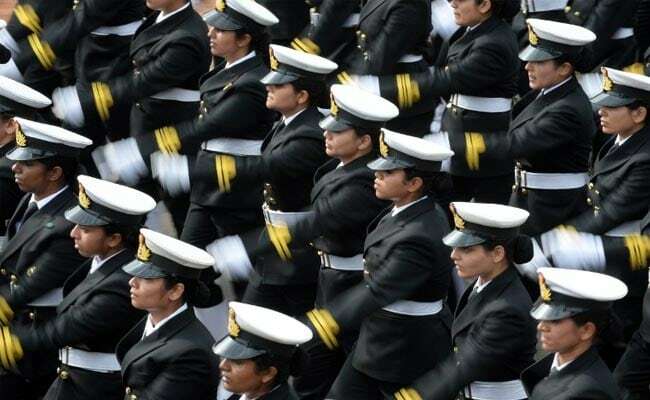 "The induction of women officers into the Navy has been incremental, graduated and progressive," the affidavit, filed through central government standing counsel Amit Mahajan, said. The submission was made on an affidavit filed by the government in response to a PIL seeking entry of women into those executive branches of the Navy where their induction is barred. The plea by Kush Kalra, a lawyer, has alleged "institutional discrimination" by arbitrarily depriving women of the right to serve in the Navy's general service cadre of IT, engineering and electrical branch on par with men. The Centre has said the general service cadres of the executive, engineering and electrical branches are sea-going, where the core job of officers was to man and operate ships. "Officers inducted into these cadres are required to undergo prolonged sea training onboard ships, followed by extended ship-based tenures. "Sea time is also mandatory to make officers eligible for promotion to the next rank," the government has said and added that non-induction of women into these branches was a policy decision. Kush Kalra, in his petition, has claimed that discrimination on grounds of gender was violative of the fundamental right of equality, equality of opportunity in the matters of public employment, fundamental right to practice any profession and occupation and human rights of women. The plea said the Navy's notification to recruit only men in the general service cadres under the university entry scheme and barring entry of women candidates, should be declared void and the court should issue a direction to provide equal opportunity to female candidates on par with males.